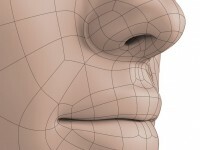 It’s about a surgery that aims to modify the structure of the nose to make it more harmonious. 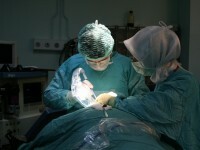 This surgery is performed under general anesthetic during one night hospitalization. The results are often spectacular, but the act requires an extreme precision. It’s about a surgery that balances the upper and the lower parts of the face. 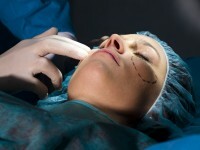 Usually, the procedure consists in a chin augmentation. For this purpose, we often use a poreus polyethylene implant (Medpor®) that perfectly fits the bony skeleton. It is the main facial ageing surgery, it gives better results and more steady than the medical cosmetic techniques. The face usually appears 10 to 15 years younger. This surgery is performed usually under neuroleptanalgesia or under general anesthetic during one night hospitalization. 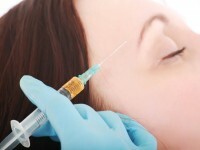 It is technique to fulfill the cervico-facial lift especially for women that do not want botulinic toxin injections. It allows selecting the lion’s wrinkle and raising the tail of the eyebrows. It is a recent technique from reconstructive surgery, which consists in the implementation of purified fat taken from the abdomen in the nasogenian folds or in the cheekbones. This technique ensures equivalent results as hyaluronic acid injections but stable over the time without needing new injections after 8 months. 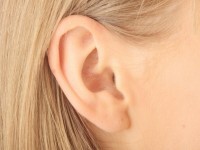 It is about a surgical technique that consists in re hemmed the outer edge of the ears and/or to reduce the thickness of the auricle or the bowl of the ear. It can be practice since the edge of 7 years old under neuroleptanalgesia or general anesthesia.